I had to go out amongst the heathen this week, my darlings. Yes, I left the warm and friendly land of Southern Hospitality, the Emerald Coast, to go down to the harsh and unfriendly land of Transplanted Yankees. Orlando. When I was a kid, Orlando was a nice little place. Lots of orange trees, several cattle ranches, and people who sounded just about like I do when they talked. Then, of course, Walt hit town, and everything changed. Now, don’t get me wrong. I love Disney, and everything about Disney. I love the princesses, I love the anthropomorphic animals, and I deeply, deeply adore the sales tax that our favorite Mouse makes possible. When y’all are filling out state income tax forms and paying out the nose for even a public college education in your states, we Floridians raise a vodka and orange juice to Disney World. Both my degrees were made possible by very low state-resident tuition back in the day, which was itself made possible by all of you coming to Florida on vacay and giving us 7 per cent of every dollar. BUT this does not mean that I like going to Orlando, except on the occasions when I can myself play tourist and hang out with characters at the parks. See, it’s not Florida anymore. At least not as I understand Florida. See, Florida is the upside down state. What’s North is South, and what’s South is North. 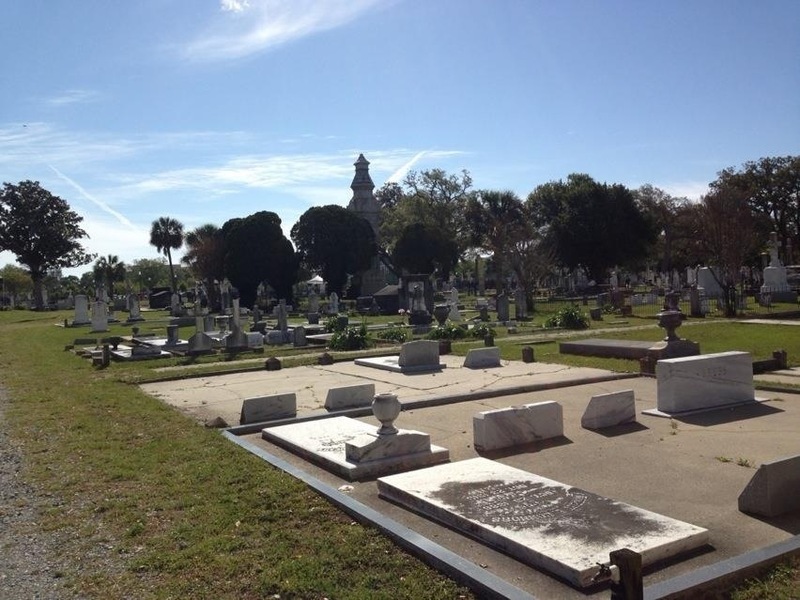 Up here in God’s country, north and west of the Suwannee, were are part of the Deep South. We move slow, and we talk slower. We say “carry me to school” instead of “drive me.” When we prepare to do something, we’re “fixin’ to.” We say “y’all” and “ain’t” and we bless everyone’s hearts. 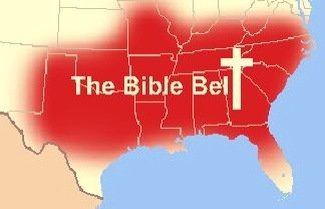 And we eat grits. This week, at a conference for local government attorneys from across Florida, the hotel served breakfast. Eggs. Bacon. Orange juice. All well and good. But there was a big casserole dish of some kind of seasoned potatoes next to the eggs. WTF? I don’t mind a hash brown now and then, when the mood strikes. But breakfast requires grits. Grits. 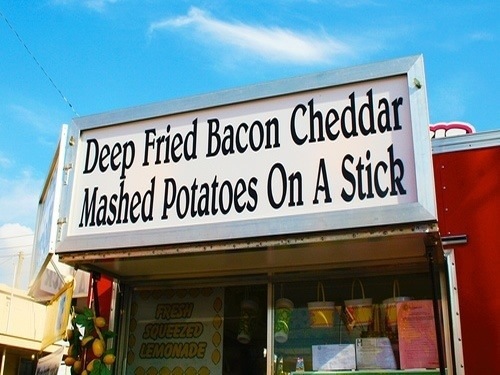 The signature food of the South. Grits are, as most of you know, ground corn, or more technically, ground hominy; hominy being a form of corn processed with alkali. Its just about the same thing as polenta, for which Yankees will pay big bucks in Italian restaurants. Nevertheless, they turn up their noses at it on a breakfast table. And when you ask for it in a big resort hotel in Orlando, the waiter acts like you asked for something A) exotic, B) disgusting, or C) A and B above. So I didn’t get my grits in Orlando. But right now I am sitting at a good old fashioned Southern coffee shop (think Black, Sweet or With Cream rather than Latte, Mocha or Cappucino). 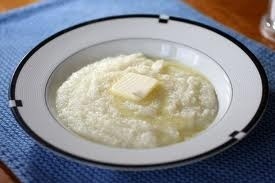 And by my side is a dish of that ambrosia of the breakfast table, Nature’s perfect food, Grits with Butter. I just love Steel Magnolias. So many movies make fun of Southerners or spend all their time dwelling on the very real problems the region had, has, and most likely will continue to have. I submit that the perception of the troubled South is because Southerners are just a lot more open about our problems, by the way. But Steel Magnolias may be one of the best films ever made about ordinary, middle-class modern-day Southerners. If you were born and reared (not raised – crops are raised; children are reared) in the Deep South, you recognized the characters the actresses portrayed so well. The crazy lady who raises tomatoes, the mother who would give her right arm for her baby girl, the bride who gushes about her “colors” …. Lord, I didn’t just recognize those women; I AM them! Which is why my friends and I quote Steel Magnolias constantly. The characters in the movie (and the play) say what we would say if we had really good script writers. “It takes some effort to look like this” “my personal tragedy will not interfere with my ability to do good hair,” and, of course, “I’m not as sweet as I used to be” — I use a quote from Steel Magnolias daily. And today, I’m using my quote quota to bring you a true icon of the South, one of the main things that separates the residents of God’s Country from the rest of y’all benighted souls. As Truvy (Dolly Parton) put it: Sweet Tea: the House Wine of the South. Now, some of y’all may think y’all know how to make sweet tea. You just buy a jar of Lipton Instant and add water. Or worse yet, you may buy the canned/bottled stuff. Honey, please! I mean, it will do if you are surrounded by the Yankee Army and can’t smuggle in the real thing, but other than that, there is no excuse! 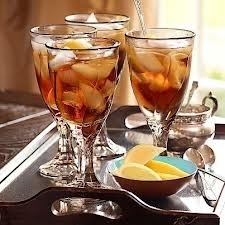 Let RomanceMama tell you how to make sweet tea, just like her Momma, Grandma, and Aunt Granny did it. Now, DON’T throw the tea bags and water in a pot and set it to boiling. Only Yankees do that. You have to get the water just to the point of boiling, and then remove it from the heat and drop in the tea bags. Cover it and steep at least 10 but no more than 20 minutes. The longer it steeps, the stronger it will be, but if you let it go too long, it gets a bitter edge that will ruin your reputation with the Women’s Missionary Union Refreshment Committee. Stir the sugar into the water until it is completely dissolved. When the tea is finished steeping, pour the simple syrup and tea into a gallon pitcher. At this point, you have to taste it and adjust the water and sugar until it is just how you like it. DON’T just put ice in the pitcher and/or stick it in the fridge now. Even educated Yankees don’t do that! Getting it cold too quick makes sweet tea all cloudy and yucky looking. For nice clear tea, let it get to room temperature. Then you can stick it in the fridge til its cold. Serve it over ice with a slice of lemon. If you want to get really fancy with it, put a sprig of fresh mint in each glass. I prefer to drink my sweet tea in antique crystal, but a mason jar will do in a pinch. 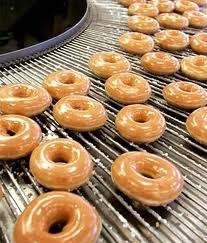 The Krispy Kreme conveyor belt.